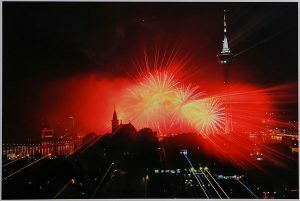 The first prize photo in 2015’s fireworks photo contest in the 24 yrs and under category. Photography by Leong Ka I, of the Universade de Macau. Over five Saturdays from Sept 15, fireworks will light up the Macau night sky in a concert of sound and light projections in a contest of pyrotechnics by ten acclaimed firework companies from diverse countries as Thailand, Portugal, Canada, Italy, and the United Kingdom. October 1st being China’s national day, will of course feature China as well as Romania, a first time entry to the competition. Hotel: Mandarin Oriental Macau’s Fireworks Celebration Package (Sept 3, 10, 15, 25, Oct 1) at S$661 for one night with views of the fireworks, including a four-course degustation dinner for two at the hotel’s Vida Rica restaurant. 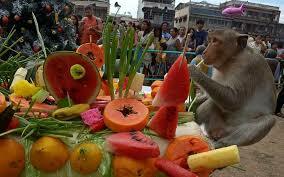 In central Thailand’s provincial capital of Lopburi, about 150 kilometers north of Bangkok, the last Sunday in November is reserved for the Lopburi Monkey Banquet. The world’s wildest dinner party is held in honour of these long-tailed macaques– some 3,000 of them–who have become integrated into local society despite their pick-pocketing tendencies and mercurial attitudes. The festival starts at 10am, amongst the overgrown Khmer ruins of the Phra Prang Yot temple the monkeys call home, on the Vichayen Road about 200m from the railway station. Initially shy, the monkeys are surprisingly well-behaved, even timid, in view of the hundreds of spectators gathered to watch them eat off 100 Chinese round tables. Invitations are attached to cashew nuts and distributed among the macaque guests, while chefs prepare an abundant spread including sticky rice, tropical fruit salad frozen in ice blocks and an egg-yolk dessert known as thong yod. The descent into food fights and general mayhem take over soon enough. 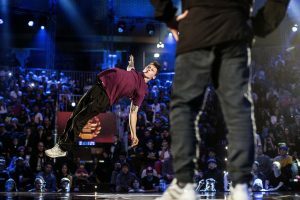 One of the world’s biggest travelling B-Boy competitions, Red Bull BC One, enters its 13th year. On Dec. 3, the World Final is returning to Japan, this time in the incredible city of Nagoya, the country’s third largest city and a bustling hub for the hip-hop scene. Sixteen of the best b-boys on the planet will go head-to-head in knockout battles to determine who will be the one. The World Final will be broadcast live on Red Bull TV. Instead of regional finals, there will be a series of Red Bull BC One Camps all over the world, including Austria, France, and the latest in Kiev, the Ukraine. See redbullbcone.com for details on a camp near you. 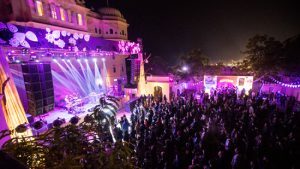 The three-day arts and experiential music festival will take place at Alsisar Mahal, the 17th century palace-turned-hotel that provides the perfect backdrop for Magnetic Fields’ handpicked showcase of house and techno music and the arts. With a variety of accommodation packages available, festival attendees have the option of either staying in a palace or camping in the desert.